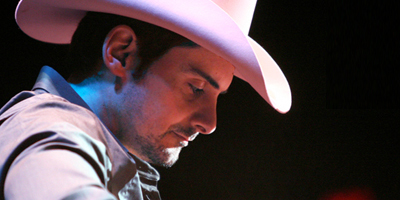 Today’s Random Weekend selection comes from Brad Paisley’s 2005 album Time Well Wasted, his second of nine straight albums to hit #1 on the country charts (that streak is still going). I rank Time Well Wasted as Paisley’s third best album, following American Saturday Night and Mud On the Tires. Here’s a real tear-jerker from Brad Paisley that falls into one of my favorite categories: Dead or Dumped? The singer is mourning the loss of a loved one, but is it a death or a break-up? The lyrics favor either interpretation. So do the YouTube comments, which contain tales of best friends who no longer speak, dumped boyfriends and girlfriends and people who’ve lost members of their family. During the 2000s, Brad Paisley put out five or six albums that were just chock full of great, fun songs like today’s Random iTunes Selection. ‘Easy Money’ is catchy, funny and sly like so much of Paisley’s work. Songs like this feel like they were written and recorded in a day, and I mean that as a compliment. 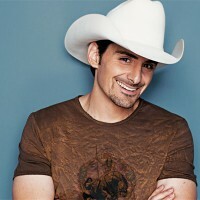 Here endeth the Brad Paisley Weekends. I could play the man’s music non-stop but I’ll give him a rest for now and let somebody else have a shot. For a guy who is so good at writing earnest love songs, Brad Paisley sure has fun taking things in the other direction. After I discovered Paisley through his 2009 album American Saturday Night, I started buying up his previous albums. Time Well Wasted was either the first or second record I picked up, and ‘I’ll Take You Back’ was an instant favorite. I don’t care if you don’t like the simple constructs of a typical country song (like some of my frequent commenters!) — I defy you to listen to this track and not have a ball. Apart from the funny lyrics (the “waa waa waa” chorus is my favorite), just listen to his guitar playing, and that instrumental jam that makes up the last minute-plus. 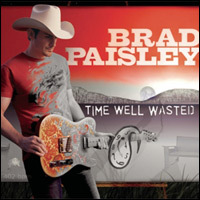 Brad Paisley’s fourth album, Time Well Wasted was released in 2005 and marks the point where he really hit the stratosphere. Starting with his second single release from this album (‘When I Get Where I’m Going,’ a duet with Dolly Parton), he sent a record 10 straight singles to the #1 spot on Billboard’s country chart. That streak ended with a #2 single, and he released three more #1’s and two more #2’s after that. And in the past eight years he’s put out six #1 albums. Now that’s a lot of numbers to crunch, but the point is Brad Paisley is the Will Smith of country music (minus a misstep like Seven Pounds). Today is my wedding anniversary… lucky number thirteen. I’ve now spent more than a third of my life married and just about half of my life with this wonderful woman. And those percentages will keep on creeping up. The way time is flying these days, I know 15 and 20 will be upon us in a blink. And that prospect absolutely thrills me. I’m baffled by those men (and women) who fear commitment and view marriage as a restricting thing. On the contrary, I find it perfectly liberating. It’s a powerful and freeing thing to completely be yourself with another person, for better or worse. I suppose some people are able to do that with just anybody, but for me it doesn’t come easy.